The refurbishment of a 1970s office development in the heart of one of London’s most important conservation areas has presented Faber Blinds with an opportunity to create a stylish solution. 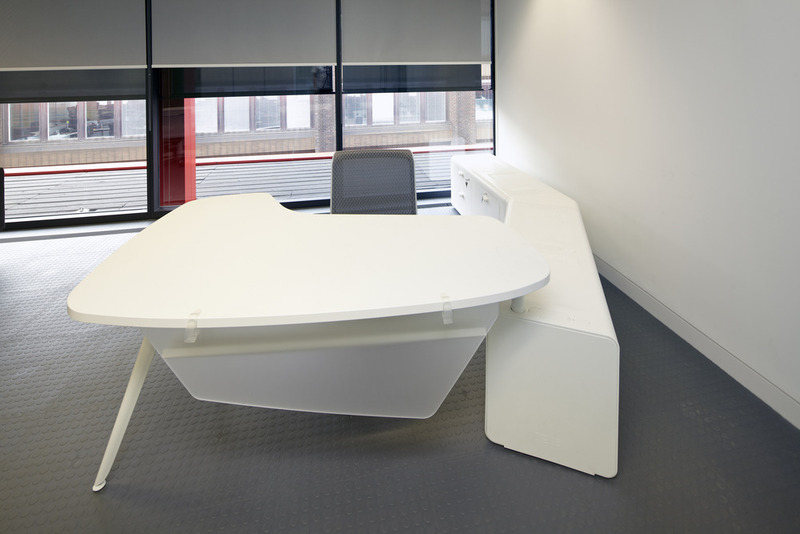 The development at 24 Britton Street in Clerkenwell included a specific brief to create more flexible and comfortable office accommodation whilst improving the sustainability and environmental performance of the building. The building cladding had reached the end of its useful life and in addition it suffered extensively from heat build-up through solar gain. 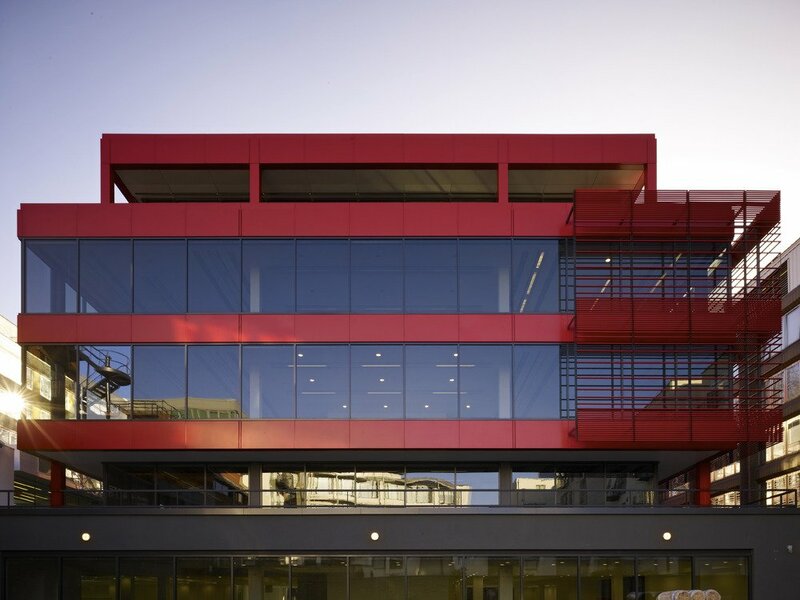 The solution presented by Faber Blinds to Archer Architects addressed the impact these issues were having on the internal environment of the building. Faber Blinds supplied more than 250 EOS 500 roller blinds – type 5-11 with screen fabric. This type of internal roller blind system makes a dramatic and functional statement, defining and controlling heat, light and views. 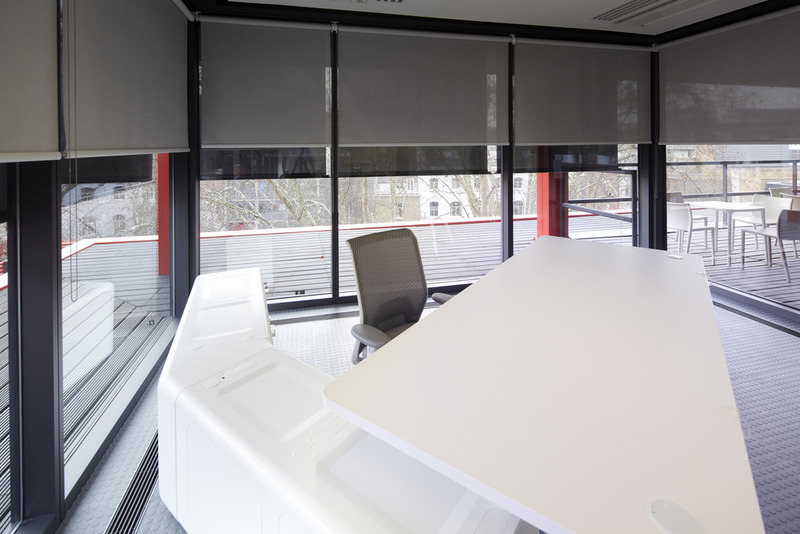 The Faber roller blind systems are adaptable and particularly suitable for commercial applications, such as 24 Britton Street, where there is a need to control solar glare and light transmission through the window. A wide selection of high performance and screen fabrics enables this style of shade to provide an efficient, cost effective form of light control. The systems can be specified with a variety of control options, creating a large degree of flexibility to suit a wide range of installations. EOS 500 has been developed especially for project application and make a dramatic and functional statement, perfect for this particular office redevelopment as they make a strong visual impact and also control heat and light and make the offices a more comfortable environment all-year round. The system also offers a wide variety of components to build a custom roller blind design based on the project specification. Key features of the Faber system include: the ability to specify EOS 500 from the smallest up to largest-scale windows; all fabrics are Fire Retardant, DIN 4102 B1, and available in different openness factors and colours; ease of installation and the ability to connect multiple roller blinds next to each other; and a large degree of design flexibility. The system also offers a number of innovations, such as the patented spring loaded end plug that enables one installer to complete the job and an integrated leveller to allow easy correction of any tracking issues. The brief for 24 Britton Street also included the creation of a new entrance together with the enhancement of the public piazza. The project, which formed part of the recent London Festival of Architecture, saw a new glass stand-alone pavilion created to provide a new entrance and reception to the main building. The enlarged atrium between ground, lower ground and basement will greatly increase the levels of natural light in this portion of the development. 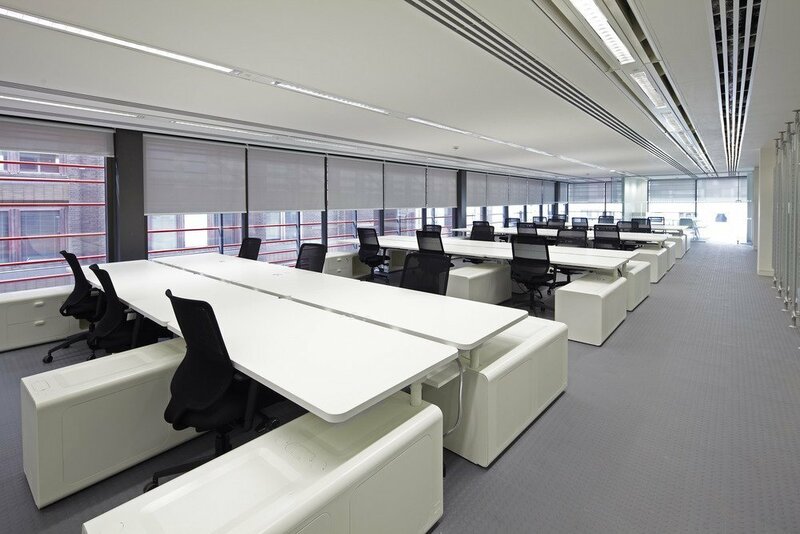 The project required the bespoke solutions that Faber Blinds have become renowned for and professional installation by fit-out specialist Chorus, ensured that the completed building provided the landmark refurbishment set out in the original brief.